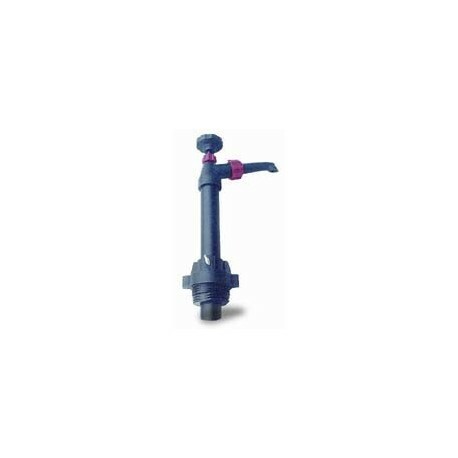 Self-priming PLUNGER HAND PUMP fits 15-55 gallon drums. • Intake tube is 1-1/4" OD x 18" long screw-on extension increases total length to 37-3/8". • Stroke length of 17" delivers 7.5 oz. per stroke. 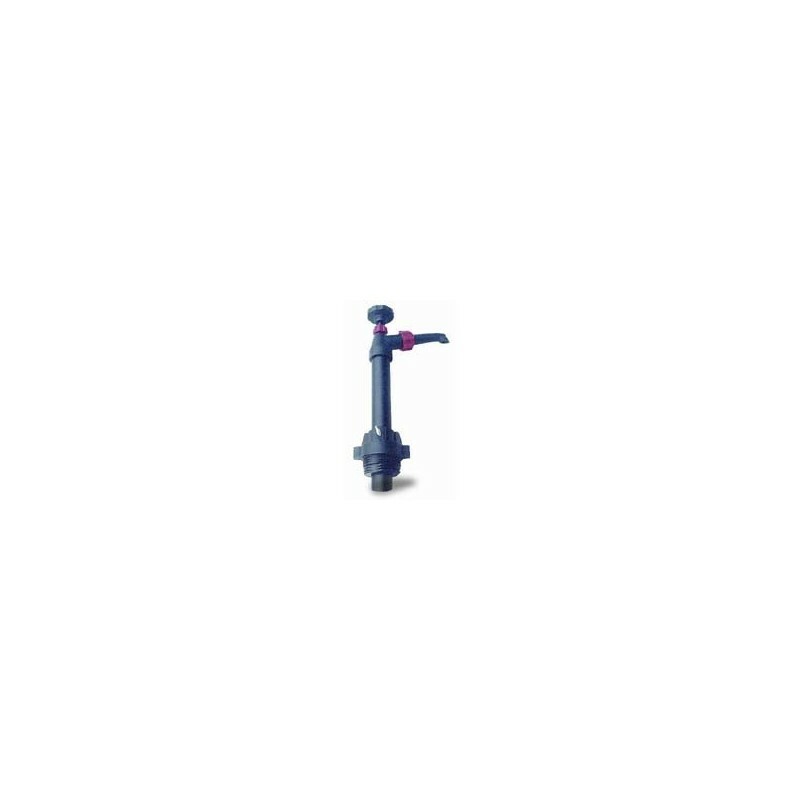 • Includes 2" bung adapter with set screw for height adjustment. • Output fits standard garden hose connector includes adapter with barb that accepts 3/4" ID tubing.